It will take a while to sink in completely but on Saturday (June 17th) around 5pm, I reached Hondarrribia, a small Spanish coastal town on the Atlantic coast, just a few miles from the French border. I reached it on my mountain bike, exhausted, dirty, sweaty and incredibly emotional. 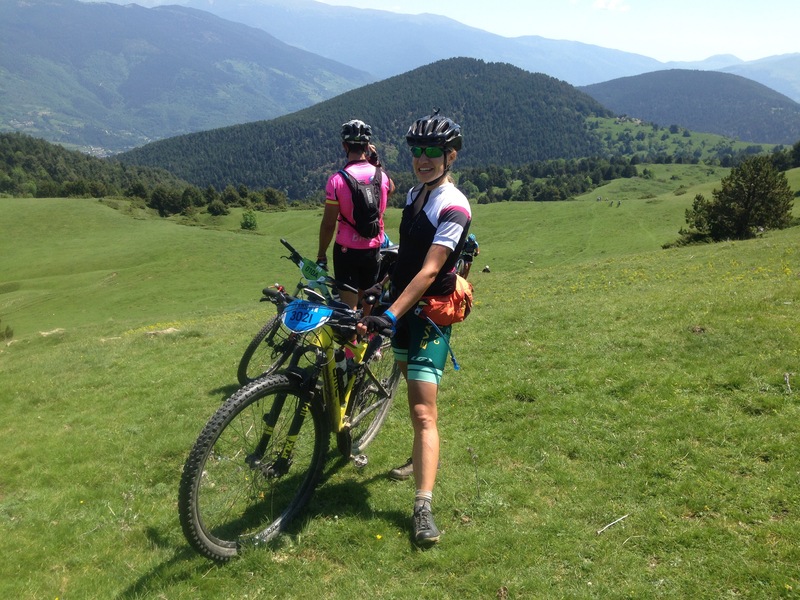 Just 7 days prior myself and 400 other brave riders set off from Roses, again just a few miles from the French border but this time on the Mediterranean coast and some 800km away, divided, or rather connected, by one of Europe’s most impressive mountain ranges, the Pyrenees. 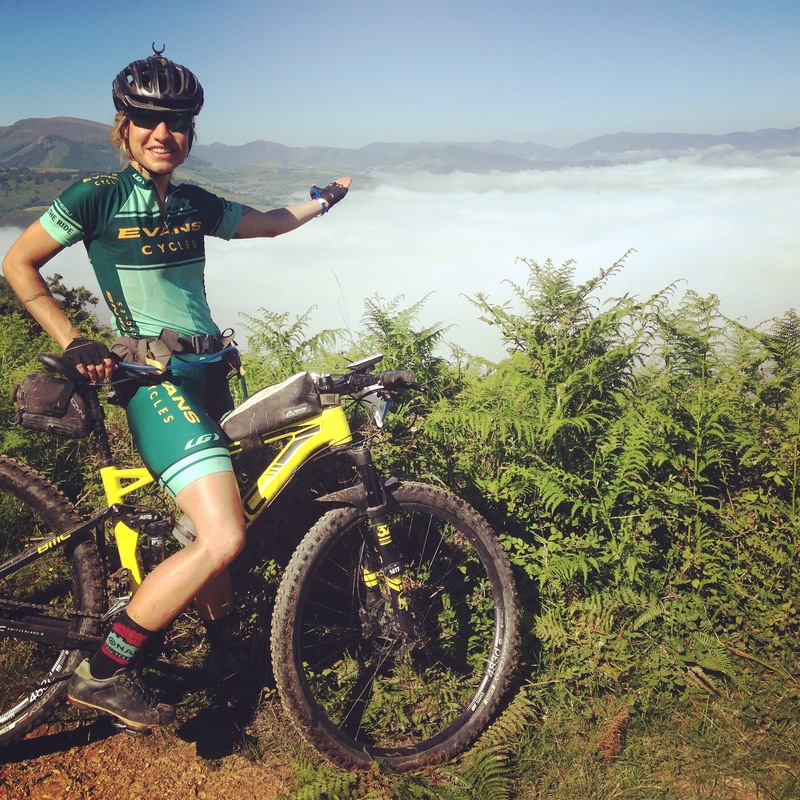 It was the toughest challenge I’ve embarked on yet on a bike and knowing just how hard it’d be – and trying to prepare myself as best as I could while working full time – was hanging over me like a grey cloud for more than 6 months. There, at the finish line, I had the sunshine in my face, squinting into all the cameras which were trying to capture such a special moment. All the hard work, tears, self-doubt and frankly, massive lack of down time over the past months was gone in an instance and as I heard Oriol, one of the main organisers, announcing my name for the 7th and final time. The sense of achievement felt is hard to put into words. 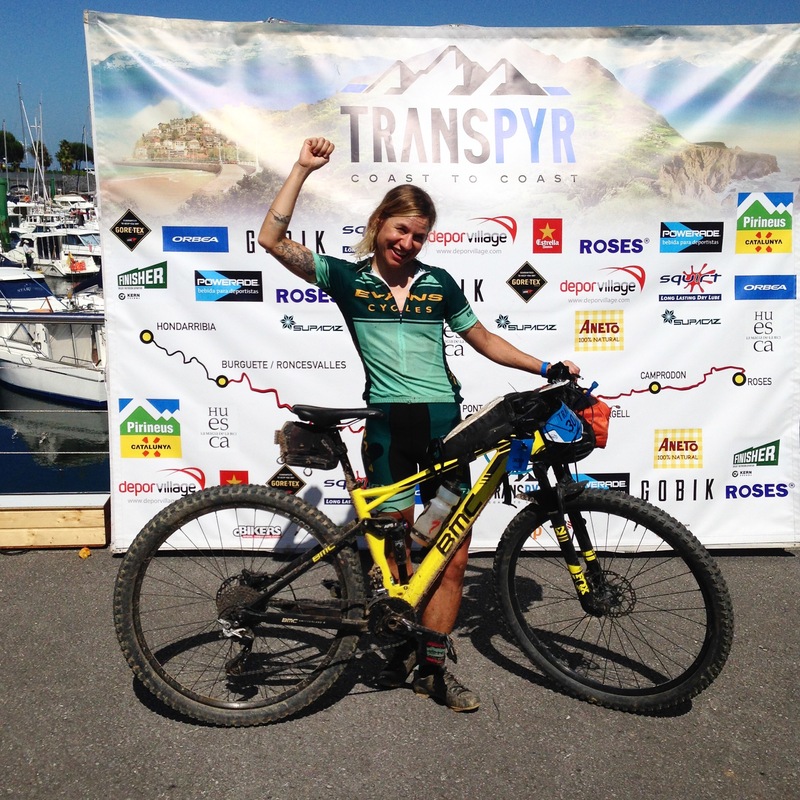 It was in late October, early November of 2016 that the opportunity to potentially get a free place to ride Transpyr 2017 first came up. I was back in work for about three months after last summer’s two-month adventure and I was probably getting itchy feet again, contemplating the meaning of things, questioning the long hours spent each day in front of a computer screen and getting seriously stressed about meaningless stuff. How quickly it wore off, the calm and composed mind which had tackled the challenges of the wilderness, managing supplies, finding somewhere safe to sleep, navigating through remote terrain, even riding through bear-territory. Instead I was back fighting my email inbox. “The guys from Transpyr are offering us a place in return for coverage of the preparation for the challenge and the event itself. What do you think? Which of the bloggers would be right to do this? Who could do this?” My manager at work asked in our weekly catch-up. “Can’t I do it?” I very readily asked, obviously trusting that somehow I’d have it in me but also knowing that there is no coverage like one that stems from something you experience for yourself. 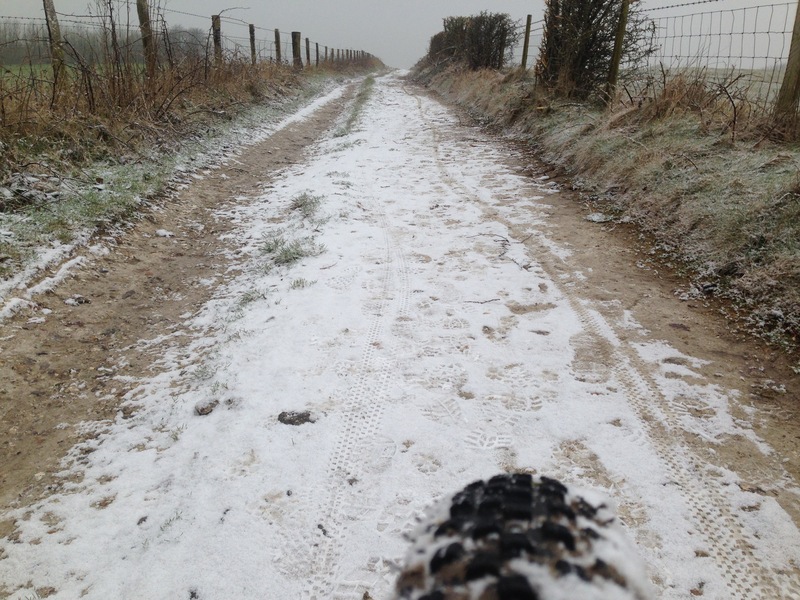 As the blog editor for Evans Cycles’ Coffee Stop, I work with a range of writers, some who would’ve possibly done it too and I have also worked on the content/coverage when two former colleagues took part in Transpyr 2015. Probably further fuelling my curiosity was coming across some of the Adventure Syndicate women tackling the route as a self-supported bike packing trip last September. This time it was my turn and readers could sure join me on the emotional rollercoaster ride which I sensed would lie ahead. But once the plan was agreed, excitement made way for quite a bit of worry. I knew I’d never actually call it off unless something happens but grasping the full impact it’d have on my life (and those close to me!) over the next 6/7 months was enormous. The more I looked into the details of the event – how physically, mentally and technically challenging it would be – the more I cursed my ‘bravery’. “But you’ve toured the entire Great Divide Mountain Bike Route from Mexico to Canada last year, 2500 miles, this will be easy!” many questioned why I was worried. 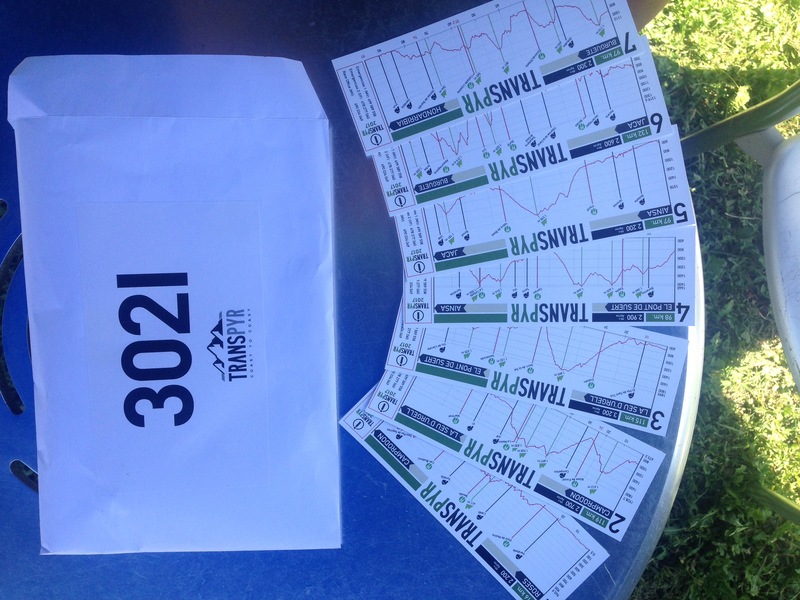 I knew I have a strong mind and what it means to get on your bike day in day out for 10h or more but the stage-race format of Transpyr and the technical demands within, made it an entirely different game. Yes, it was luxury to have your luggage transported to your accommodation between stages, being provided with mechanical and physio support in the evenings (against an additional fee) and being fed but that meant that some of the stuff I am good at, which includes being efficient with my breaks or being able to push on that little bit further wasn’t going to give me much of an advantage. This very much came down to riding my bike, fast and skillfully (although I would later learn that it was probably still being focussed and determined that led to my success in the end). While I’m usually pretty good organising myself in terms of fitting training around commitments and just ‘doing my own thing’, I felt this time I best seek some expertise, for my own sake but also to add value to the coverage of the preparation. Ian Mayhew of Gears and Tears was the man, having ridden Transpyr before both on road (there’s a road event taking place at the same time ‘Transpyr Backroads’) and off. We met back in November in London to discuss the basics and Ian had since provided me with 4-weekly session plans via Training Peaks. Ian’s plans made perfect sense and always took my commitments into consideration (and ultimately helped me to succeed) but it was the first time I worked with a training plan and I did find it a little hard to adjust to the routine, particularly starting at the beginning of winter when all one wants to do is hibernate or be snuggled up in front of the fire/TV, brew in hand. 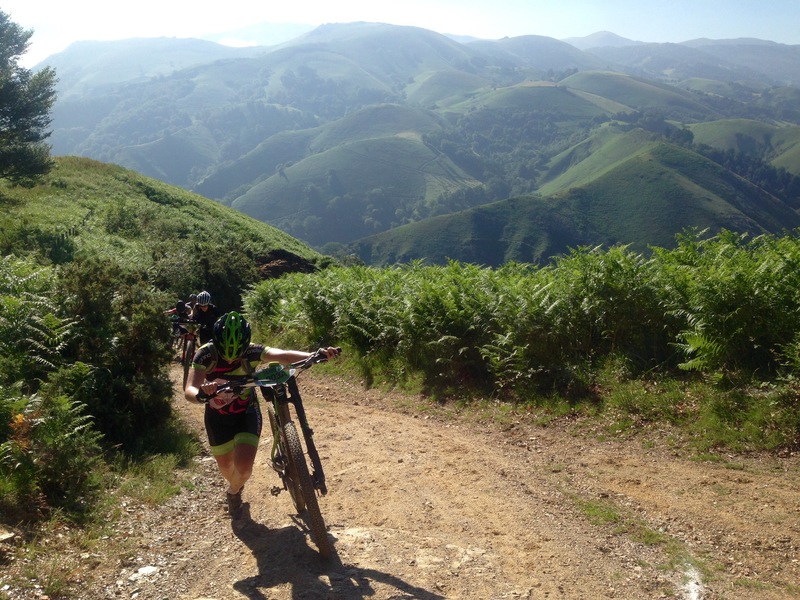 riding between 4-8h each weekend day bar four, countless lunch time South Downs hill reps and a few trips to more technically challenging terrain such as the beautiful Afan in Wales or the Lake District. So what was Transpyr? 7 stages of demanding cross-country mountain biking including every type of terrain imaginable from sandy lanes and rolling gavel roads to short but full on downhill sections (many of which I had to walk down), flowing singletrack, rocky hiking paths, grassy meadows, dusty farm tracks and occassioanally Tarmac. But it was the combination of distance (60-85 miles daily), heat (30-40 degree) and elevation gain (2-3k metres/day) as well as having to maintain an average speed of at least 10km/h to complete each stage within the cut-off time (including breaks) which made it as tough as it was. The speed may sound like nothing but when most days included at least an hour of pushing your bike up at 2km/h and regular stopping to cool your system down at water sources this wasn’t as generous as it may sound. Nerves weren’t on my side in the build-up but one of the most beautiful aspects of Transpyr for me was feeling that great sense of togetherness from the very start. I hate to admit it but having signed up as a solo female rider was quite daunting in a field of 95% of blokes and a majority of group riders but it didn’t take long until I found my own ‘team’ in other fellow riders. I’m no fan of the ‘glory through suffering’ motto but there was a truth to it in those 7 days and it bonded people beyond what I thought possible. The same can be said for the organisation, the way everyone looked after each rider was heartwarming and indeed made you feel part of a (Transpyr) family. I’d have to write another 7 blog posts to really get across all the details and the emotional, physical and mechanical highs and lows of each stage but what I can say is that there really wasn’t an easy stage in Transpyr. Personally, it was the last etape, stage 7 which proved simultaneously the most beautiful and the hardest. 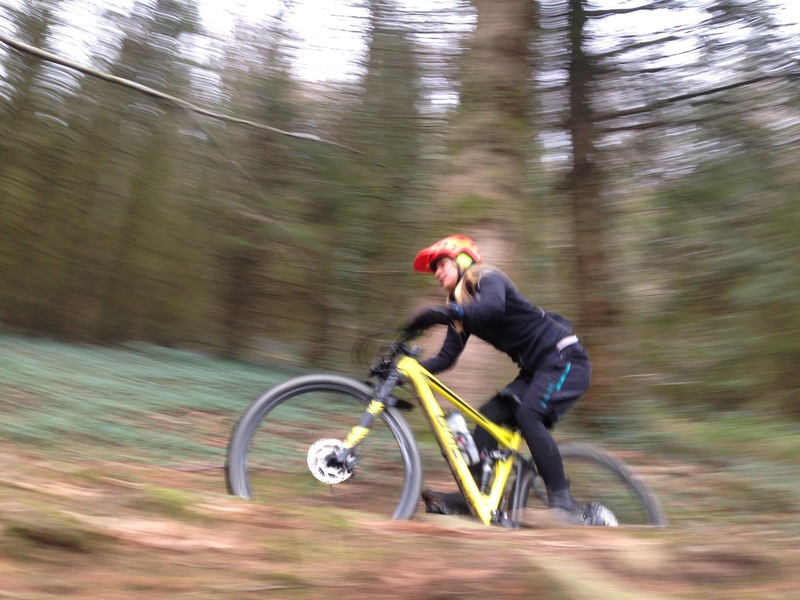 With work having very kindly lent me a BMC Fourstroke for training as well as the event itself the main decision was made but it did turn out be the perfect bike for the undertaking. Short travel full suspension, carbon frame but sturdy components (and therefore not the lightest but that turned out to be a good thing), climbing superbly yet providing the well-needed extra comfort. I was considering changing the Shimano Deore double chainset for a 1×11 combo but to be honest I’m glad I didn’t for the event. My tubeless set-up only let me down one morning with the tire being super low which required a top-up of latex and a new valve and then, after stage 4 (yep, the one with the incredible but challenging 10 miles singletrack descent) my brakes were starting to go. I remember sneering at somebody’s suggestion prior to the race that I should definitely pack at least one extra set of brake pads ‘what for 7 days of riding? But not unless it’s super wet and gritty, surely! ?’ Well, I did wear them out pretty quickly and my rear one needed bleeding too. However, in terms of mechanicals, I wasn’t as unlucky as some others, including poor Isaac who was reduced to one mid-range gear for an entire stage due to internal cabling fail; Frederico who broke his fancy carbon rim during the wild Ainsa-descent, numerous riders with broken chains and countless punctures despite running tubeless or that one skilled Spanish rider who literally broke his frame in half. The bikes took as much abuse as our bodies did. With plenty of food stops and our luggage being transported from hotel to hotel I only carried a medium saddle bag for tools and essential spares, a top tube bag for a first aid kit, phone, power bank and some engergy bars as well as my Camelbak Palos waist hydration system (1.5l) which also held my Garmin cable, some emergency cash, the route profile card as well as a very important little plastic bottle. 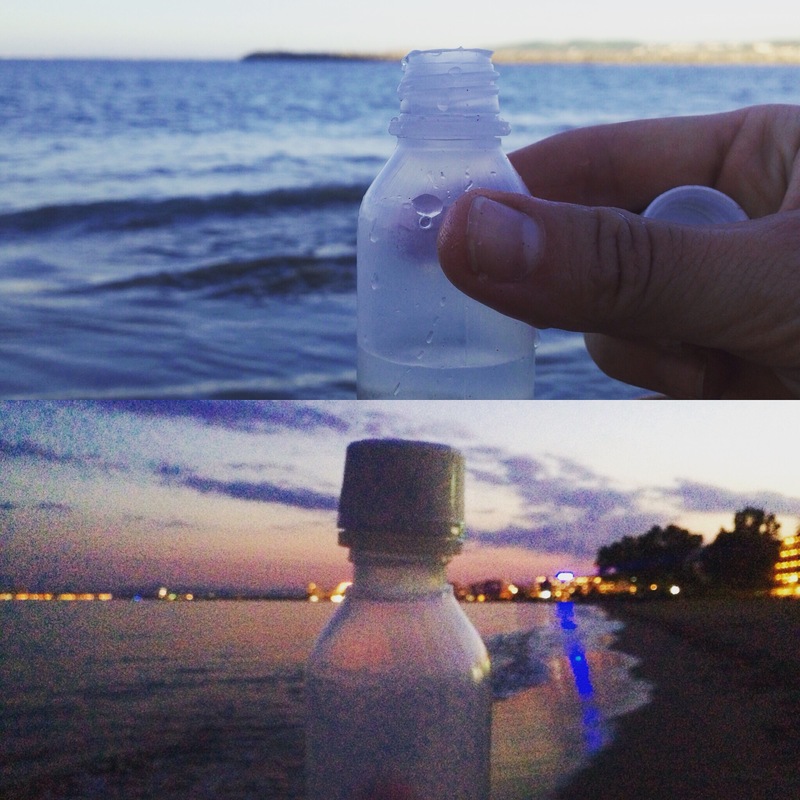 We were given this bottle at the evening of the registration back in Roses and told to fill it with water from the Med, then to carry it on us for luck and finally complete the mission by mixing its content with water from the Atlantic upon arrival in Hondarribia. Thanks everyone who put up with me in the build-up, to those riding with me plus those cheering me on and believing in me from the start, you know who you are. Would I recommend it? Definitely! It’s tons of commitment but the sense of achievement and beautiful memories made will be worth it, promised. For me personally, I’m deeply proud for having seen it through, having conquered some of my biggest fears. Hey! I read about your Transpyr challenge back at the Evans Cycles blog and wanted to say hello but unfortunately I broke my ankle at stage 1 and had to abandon (I wanted to be finisher for the third consecutive year but things happen…) Congratulations for finishing Transpyr, you’ll have memories for the rest of your life!!! Hi Magdalena !! Great post !! You’re not only a great rider, but also a very good writer. It has been also a fantastic experience for me and it was great to share those monster climbs with you. Thanks Jordi, really great to meet/share the pain with you 🙂 – keep in touch! And welcome to Transpyr Family!! !